We are so excited to announce that Team Diva is joining forces with Washington's Paramount Duty to fight for education funding in Washington state. Washington's Paramount Duty is a group of dedicated parents volunteering their time, money, and skills to fight for kids. And frankly, we need more people like these parents out there doing the hard work. 2017 is the year that Washington state and Divaland will pass equitable education funding for kids and teachers. Team Diva is dedicating its resources to make sure that our state rises from being 35th in high school graduation to the top of the country. We believe that teachers deserve to be able to afford to live in our city. They deserve to be paid on par with other states in our country. We believe that homeowners should NOT have to carry the entire burden of funding education. Wealthy businesses need to do their part! We recently gave our recap of the three education funding plans proposed thus far. No plan will be passed as is. There will be bargains made. Voters must demand the most equitable policy. First, we must get educated about the policies and form action groups. Washington’s Paramount Duty is doing an amazing job at both. Why Are We Supporting Washington’s Paramount Duty? Washington’s Paramount Duty is grassroots and was formed to guarantee truly equitable public education funding in the state. Its parent volunteers are extremely knowledgeable and active. You can get a sense of how dynamic the group is just on the Facebook page. We have been so impressed by the work of the organization to rally people. Do the hard analysis and go to Olympia on a regular basis to work for all of Washington state’s kids and teachers. The opposition to WPD’s mission is also focused, but not on education. It’s all about saving money for the state’s wealthiest citizens. The state GOP plan is supported by anti-tax groups that resist anything that might ask big businesses to pay their share. Instead, it gets the money by cutting funds to other vital public services. It also raises property taxes in the Seattle area while lowering them elsewhere. Such a vindictive move is bad enough, but it still doesn’t guarantee adequate revenue to fully fund education. As a coalition of parents from around the state, Washington’ Paramount Duty can put pressure on the entire legislature. Not just on our local reps in Seattle. That will be vital if we are to get around the ideological blocs in the house and senate. What Does Washington’s Paramount Duty need right now? Washington’s Paramount Duty needs money and volunteers. You can also endorse them as an individual or a business. If you have a story you want to share related to education, they invite you to share it with them. Our national association, REALTORS, has balked at the fees and taxes that might be incurred under some of the proposed plans to fund education. We disagree that the fees are more important than the future of Washington state’s children, and we are not alone. It would cost the average real estate professional $92 per transaction to support our schools. 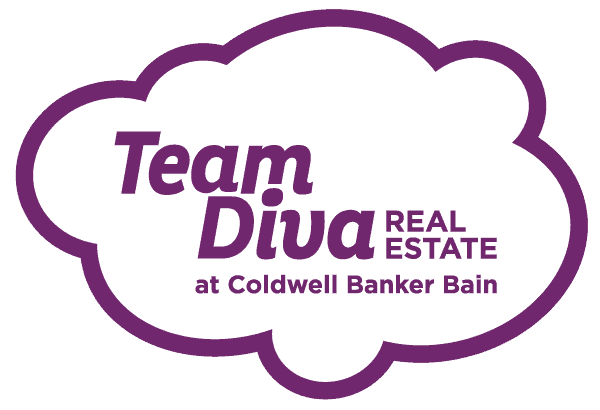 Team Diva is donating $92 to WPD from every closed deal until this legislative session ends. Donations fund WPD’s community organization efforts. They cover costs for travel, as organizers hold discussions around the state about how we got here and the best plan forward. It will take many people to rally support and ensure that the Republicans don’t just siphon money from homeowners in Seattle and Bellevue, or jeopardize healthcare and housing. If you want to learn more, explore the video stories and news on WPD’s official site and consider supporting them today!